It’s pretty damn hard to get someone to click on a banner ad. 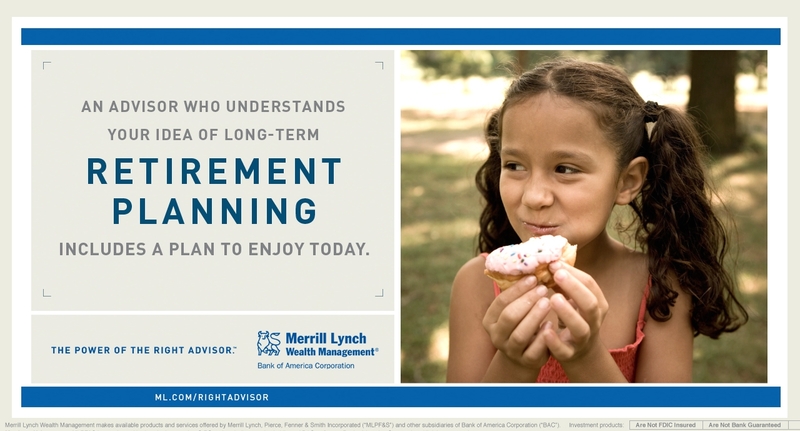 I wanted to convey the fact that ML advisors are real people who can help you achieve your long-term goals so you can enjoy the present moment even more—and who also probably happen to like frosted donuts. Alot. 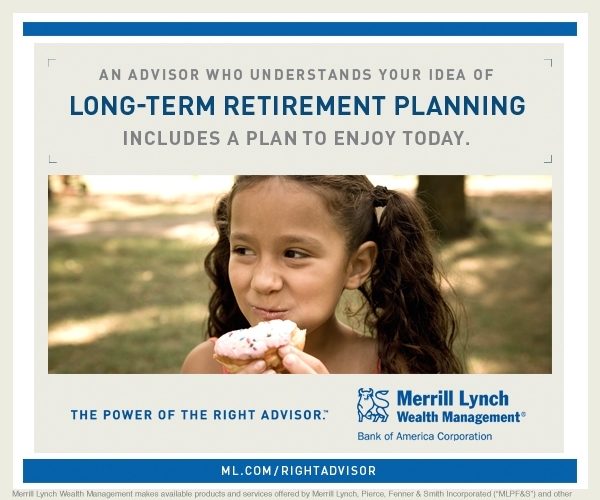 The creative director forbade us to use the dreaded “Learn more” on any of the call-t0-action buttons, so “What’s your plan?” hopefully will prod YOU to push the button and get on board with your retirement planning…with a ML advisor, of course…if you’re an appropriately high-net-worth(y) individual, that is. 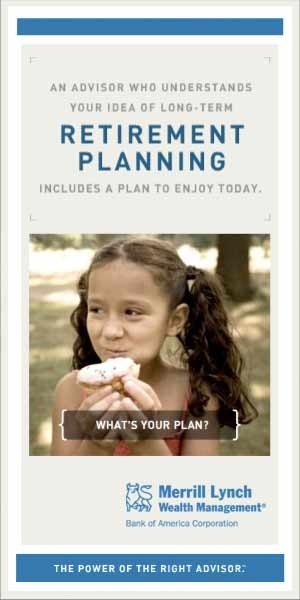 Looking at these delicious ads is giving me a serious craving for coffee and donuts — I wonder why? !